This is a Vintage Swarovski crystal, circa 1950's. When you look into it, its mesmorizing - you feel like you are going deep into the depths of unknown. 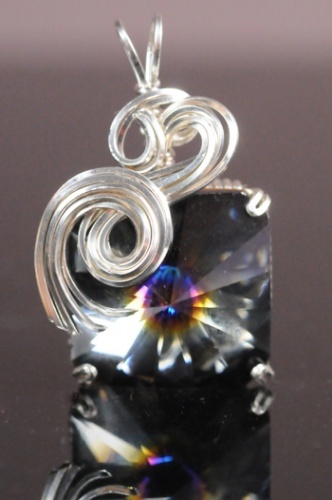 It is so elegant with the sterling silver curls topping and enhancing the colors. It had to be called Temptress.